Canada participated in the FIFA Women's World Cup for the first time at Sweden 1995. In FIFA Women's World Cup Qualifiers in 1994, Canada finished second in its region behind USA. Canada posted three wins and one loss at Stade Claude-Robillard in Montréal, QC. At Sweden 1995, Canada posted a draw and two losses in the group phase and did not advance to the knock-out phase. Canada lost 2:3 to England, drew 3:3 with Nigeria, then loss 0:7 to Norway. 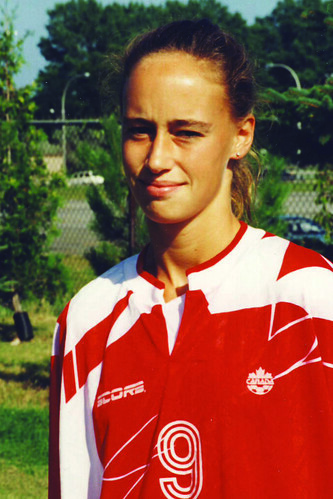 Helen Stoumbos scored Canada's first goal in a FIFA Women's World Cup. 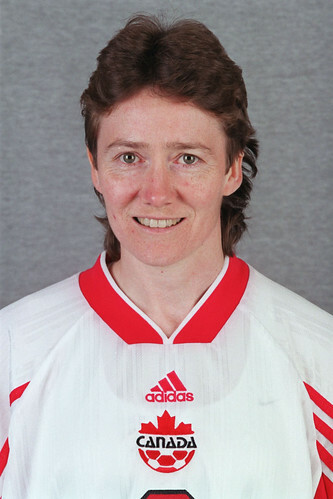 Angela Kelly was part of Canada’s first FIFA Women’s World Cup team at Sweden 1995. 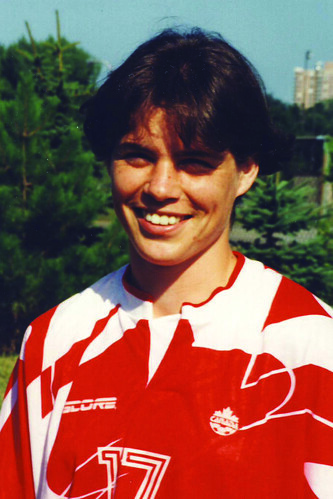 From 1993 to 1995, she played in 19 consecutive Canada matches, including a silver medal at a 1993 CONCACAF Women’s Invitational Tournament and the 1994 CONCACAF Women’s Championship. In 2004, she became an honoured member of The Soccer Hall of Fame. 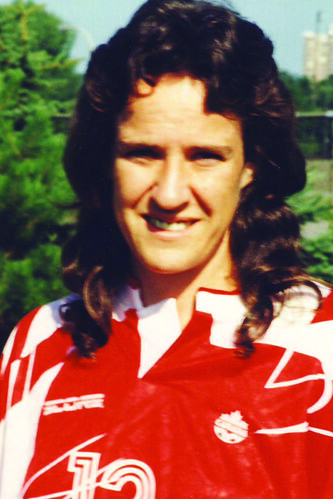 Joan McEachern was part of Canada’s first FIFA Women’s World Cup team at Sweden 1995. 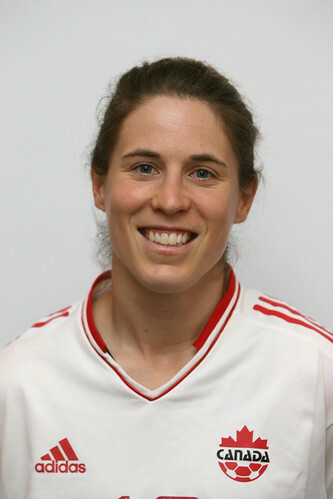 She was a two-time CONCACAF silver medal winner, helping Canada finish second in 1991 and 1994 (in Montréal). At the club level, she won multiple gold medals in the Jubilee Trophy competition. In 2009, she became an honoured member of The Soccer Hall of Fame. 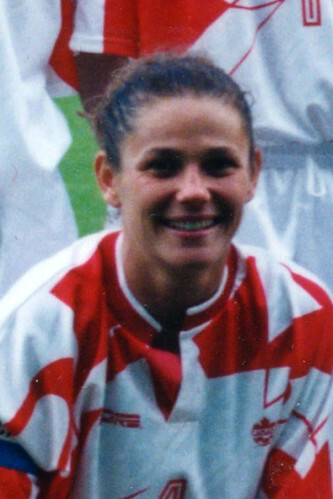 Michelle Ring was an original member on Canada’s national team in 1986, making her debut in the first match on 7 July 1986. She was also part of Canada’s first FIFA Women’s World Cup team at Sweden 1995. 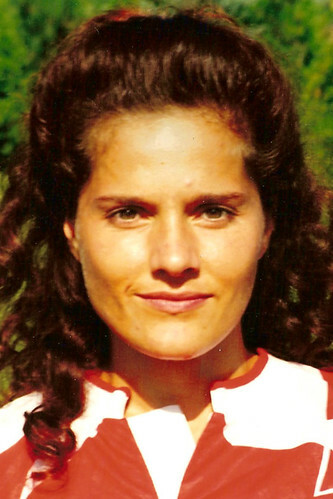 She played in 29 consecutive Canada matches from 1993 to 1995, at the time a national record. In 2005, she became an honoured member of The Soccer Hall of Fame. 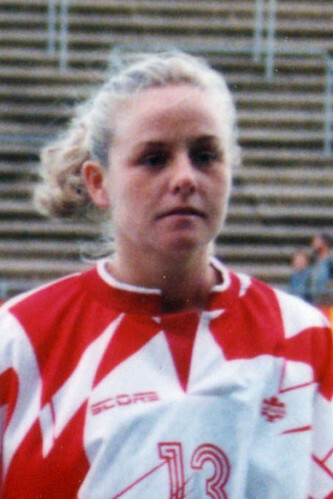 CONCACAF champion Helen Stoumbos was part of Canada’s first FIFA Women’s World Cup team at Sweden 1995, also scoring the team’s first goal in the competition. 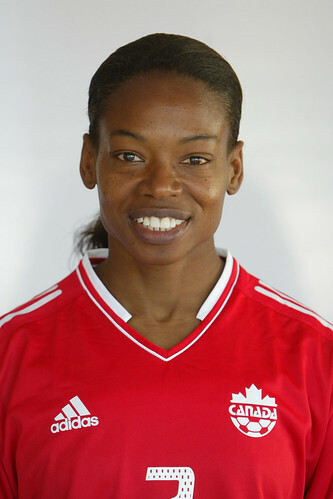 She won a CONCACAF silver medal in 1994 and a gold medal in 1998, with both tournaments held on home soil in Canada. In 2008, she became an honoured member of The Soccer Hall of Fame.